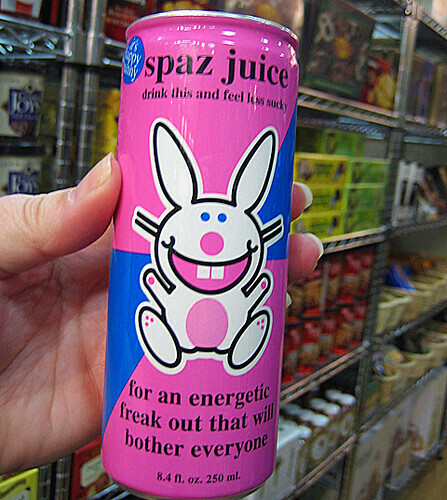 spazjuice, originally uploaded by Tashabear. I found this at a kitchen store last night. Being a fan of Happy Bunny and bothering people, I thought it was worthy of a snapshot. I TOTALLY must find some. Tasha, that's fabulous... thanks for sharing! At some point, as in next time I get to the grocery store with my camera (better than the camera in my phone), I want to post about all the things I've found in the local Market Basket that surprise the crap out of me... like CAVIAR.